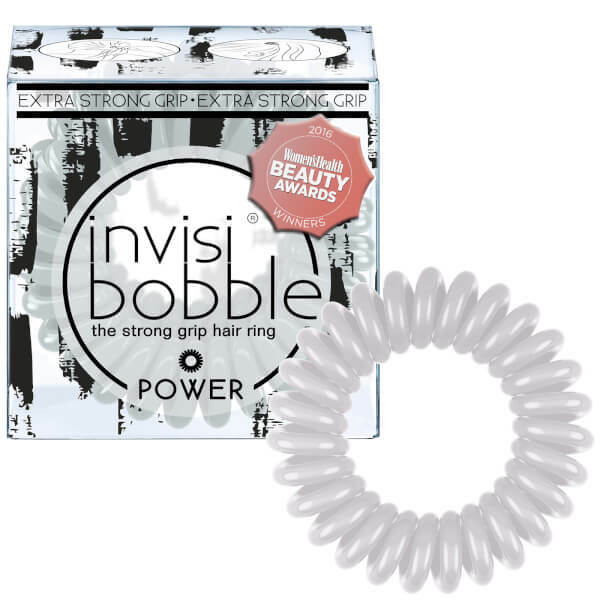 Designed to co-ordinate with the latest catwalk trends from the fall and winter runways, the invisibobble Beauty Collection is based around classic makeup looks with a muted colour palette and chic boxing. The Power in ‘Smokey Eye’ is a revolutionary hair tie perfect for workouts and sports activities. Ideal for keeping unruly hair in place without clips or pins, the functional bobble is made from an ultra-flexible, intensified strength coil with a comfortable shape to help prevent headaches and kinks. The non-soaking design and smooth surface means it will keep dry no matter what, helping to prevent tangles, breakage and split ends caused by snagging.